WARR baseball writer Kevin Luchansky writes about the Cubs and the White Sox weekly for WARR.com. Also, check out Kevin’s daily baseball betting picks on NorthSideWire. Cuban first baseman Jose Abreu continues to make a statement in his first season as a Chicago White Sox, capped off by his walk-off grand slam Friday night to down Tampa Bay at The Cell. Trailing 6-5 against the Rays, Abreu crushed a Grant Balfour fastball to the opposite field for a dramatic 9-6 victory. This seemed like an appropriate ending to a seven-day stretch in which Abreu hit five home runs, drove in 13 and had a batting average right at .400. Speaking of home runs, the five Abreu slugged this past week brought his April total to nine, surpassing Albert Pujols’ previously-held record of eight home runs by a first year player in April. After cooling off in week two of the season, it was obvious this week that Abreu made the necessary adjustments to produce again. Moving forward, though, it will be interesting to see how starting pitchers approach Abreu, given that he has a clear dead spot in the strike zone. David Schoenfield of ESPN.com pointed out this interesting stat on Twitter: on pitches on the outer half of the plate, Abreu is hitting .327 with seven home runs; on pitches on the inner half, he is hitting .186 with two home runs. As outstanding as he’s been, in a week that saw the White Sox pour on 44 runs to add to their MLB-leading total of 134 this season (entering Saturday) Abreu was not the only contributor. Outfielder Dayan Viciedo spun together a week that likely rivals any in his lifetime statistically. 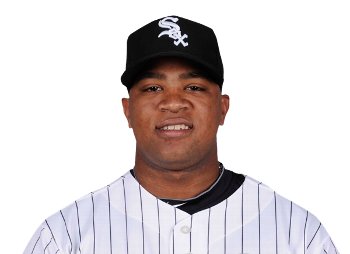 In 30 plate appearances, Viciedo hit a home run, scored seven times, drove in five runs, had a .536 batting average and didn’t strike out a single time. For a hitter who has struck out in more than 20 percent of his plate appearances in his career, no stat is more impressive than the last. Viciedo has certainly benefitted from a very high batting average in balls in play with a .519 mark. When you aren’t striking out and are putting the ball in play, good things happen. It will be interesting to see if Viciedo can keep the extra base hits coming, including his eight doubles, along with his cushy .548 slugging percentage. Long time starter John Danks has been quite impressive through four starts this season. 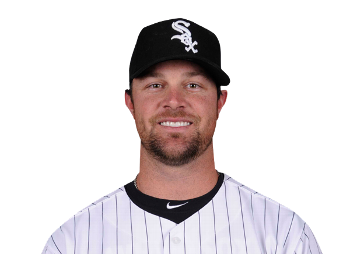 This is as welcome a surprise as any for both the White Sox and Danks, seeing as his 2013 campaign is one both he and the front office would like to soon forget. In 22 starts last season, Danks had a disastrous 4.75 ERA and was averaging nearly two home runs allowed per game. This season, even with a weaker strikeout rate, Danks is keeping the ball in the yard and keeping hitters off balance. Though it would be great so see him lower his walks-per-nine innings mark (4.62), it is nice to see that, at least for now, the Sox have a number two pitcher that they can rely on. Whether they can rely on anyone else not named Chris Sale or John Danks remains to be seen. For now it seems clear that the Sox’s offense will keep them within reach of nearly any deficit, but some reliability from the middle and back-end starters would really go a long way in the AL Central race.